Ruth Anne East joined Orizon Real Estate, Inc. in June 1999. In 2004 she went to school to receive her real estate license at Troyer School of Real Estate. 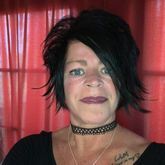 In 2019 she became a REALTOR and is affiliated with UPSTAR in Fort Wayne, Indiana. She has been the Administrative Assistant for Orizon Real Estate, Inc., for 20 years and LOVES her job. Ruth Anne loves to work outside in the summer time and also loves to spend time with her husband Steve, daughter Ciera, son-in-law Michael and the apple of her eye Addison, her granddaughter. Greg & Kari Gentry John goes way above and beyond. I'm going to be new to the area and he was very sensitive to that.